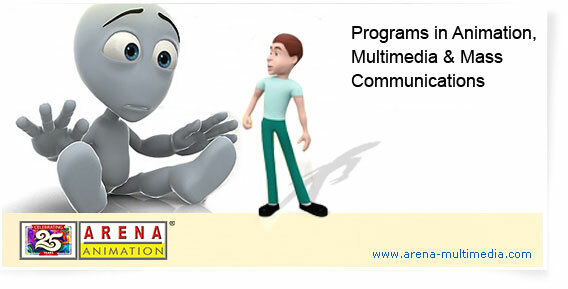 Arena Animation imparts quality education in the media & entertainment industry. Over a span of 22 years, 4,50,000 students have, through Arena Animation, found their calling in the media & entertainment industry. Arena offers basic & advanced career courses in Animation, VFX, Web & Graphics, Gaming & Multimedia through its wide network of centres across the country. Trinity 3D is a complete package! This premium career course helps students get trained for jobs in three in-demand industries – animation, VFX & gaming. Complete training in all aspects of animation to make students capable of employment and progress in the animation industry. A career course that trains students to become all-round VFX specialists. The program provides an in-depth understanding of the latest software and tools. A comprehensive career course to learn everything associated with the VFX pipeline in films – from conception to completion. A course that covers all aspects of web designing, graphic art, and digital & interactive design. Web Design course helps get the skills to design visually appealing and user-friendly websites. A perfect choice for those who wish to get the skills to design cool & engaging materials for print & publishing. A course that trains students in concepts, design, advertising, marketing, technical and analytical aspects of communication for the digital space. An ideal choice to learn to manage digital campaigns, analyse data, and grow revenues for companies & brands. Students get training to create engaging motion visuals using graphic, animation, live footage, music, sound, electronics, and other media tools. A course to learn technical skills of web designing, graphic art, digital & interactive designing, web programming languages and usability. A course to learn the concepts of digital graphics, image editing, video editing, and rich multimedia content. The course trains students in all aspects of web designing, digital graphics & image editing. Quick, short-term courses for students & working professionals who wish to sharpen their skills in one or more tools or software. *Disclaimer: Arena Animation is not a University and so does not award degree/diplomas.